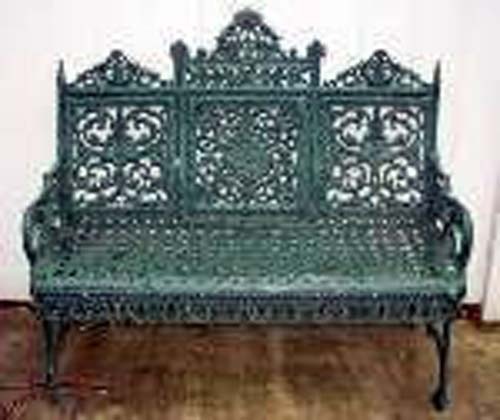 Garden Antiques with an inventory focused on cast iron and wrought iron Benches, chairs, tables & urns. Our Vintage inventory has a large selection of Salterini Dining Sets, patio sets & Peacock Chairs. 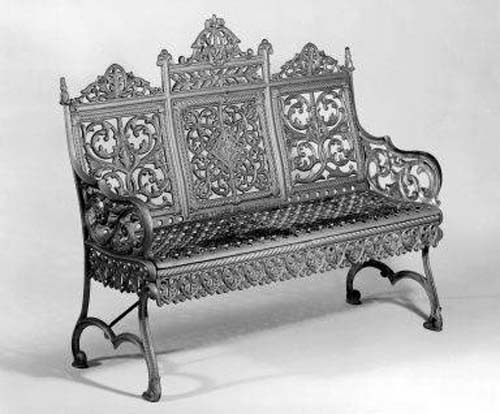 The cast iron selection has an emphasis on pieces by Fiske, Mott, Coalbrookdale, & Timmes. Also included is a selection of cast stone, & wire pieces & Cast Aluminum Shell & Sea Horse chairs & bench sets.